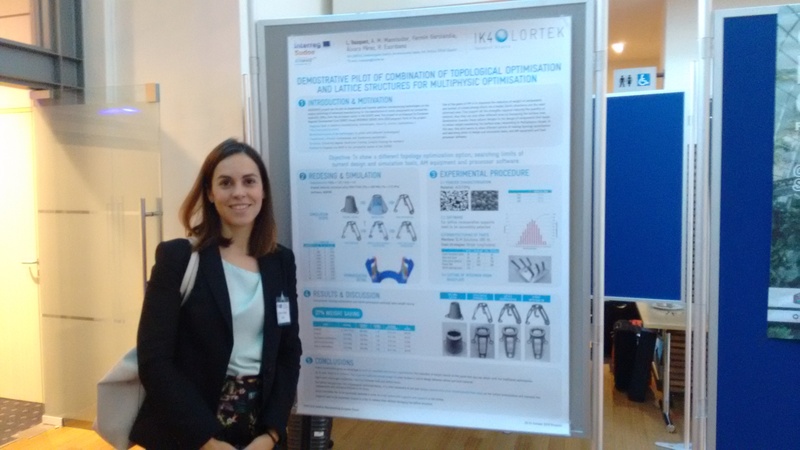 IK4-LORTEK presented the ADDISPACE INTERREG SUDOE PROGRAM during The Additive Manufacturing European Forum 2018, which is an event organized in the framework of the H2020 initiative “AM-Motion-A strategic approach to increasing Europe’s value proposition for Additive Manufacturing technologies and capabilities”. More than 80 people attended to the presentation. A one and half-day event about additive manufacturing to discuss on challenges and key pillars for AM market implementation. The Forum will bring together policy makers, industry leaders, small to medium-sized enterprises, as well as universities, research and technology centers and other key stakeholders to network and debate on the economic, social and technical challenges that should be still solved to drive AM deployment forward and the role that European policies are playing.